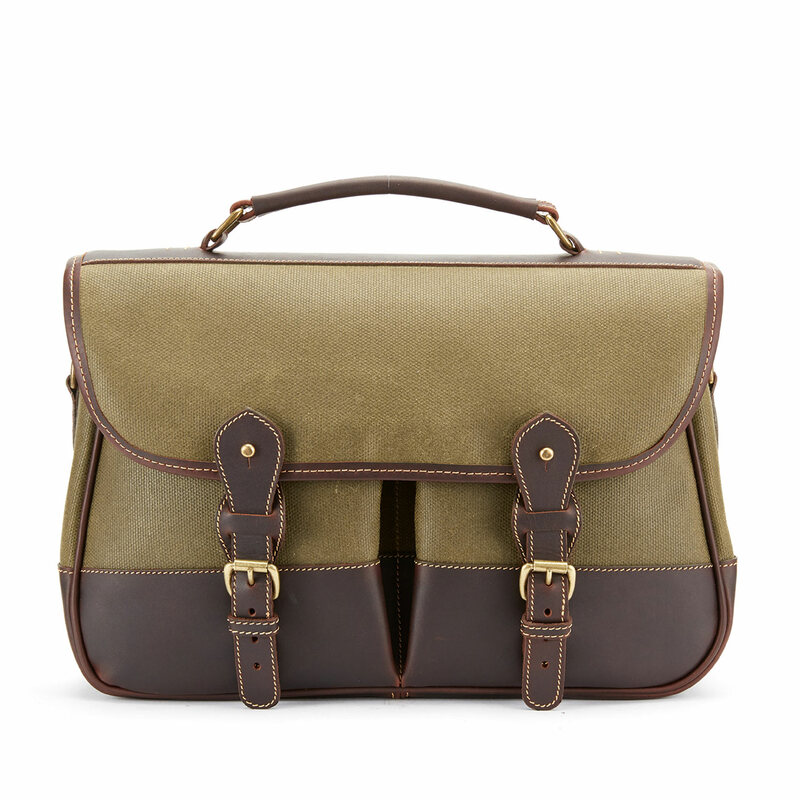 The quintessential satchel, the Clipper is one of our longest-established and best selling bags. 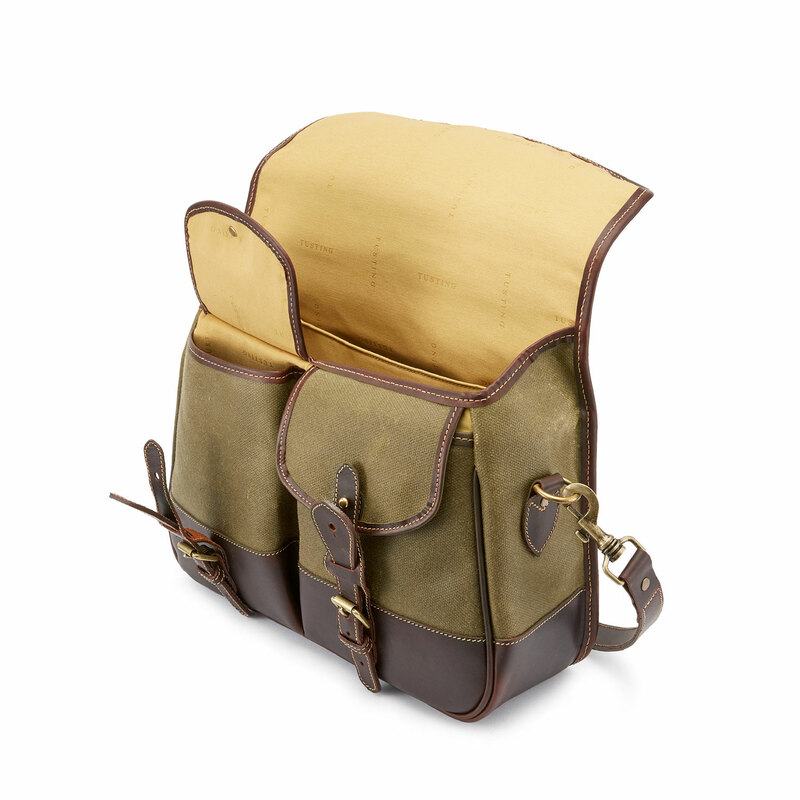 It’s not often a bag can claim to be all things to all people, but we think the Clipper comes pretty close. 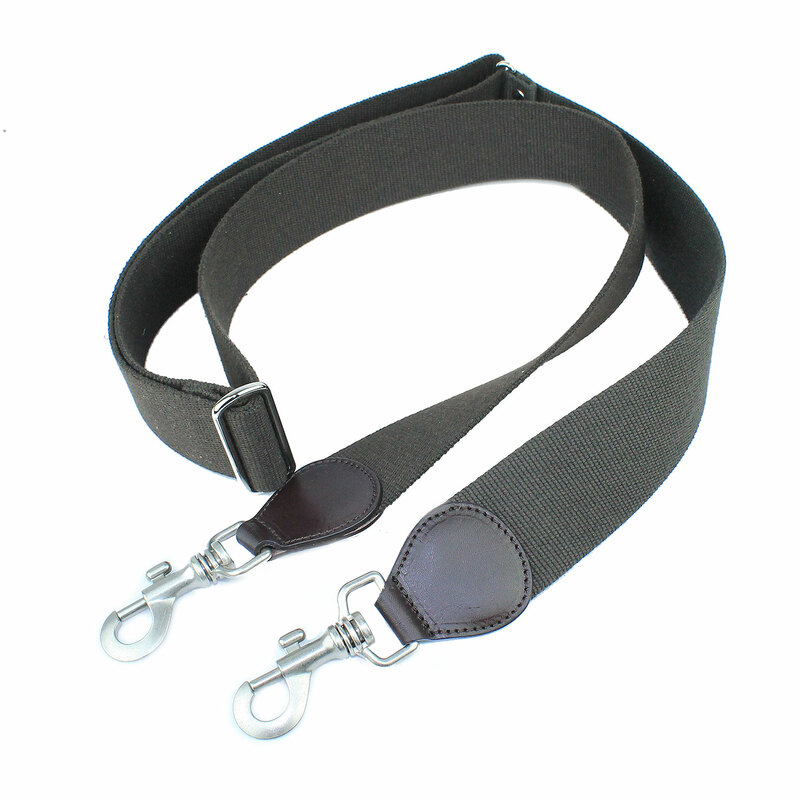 Stylish, durable and capacious, the Clipper’s a customer favourite and it’s easy to see why. 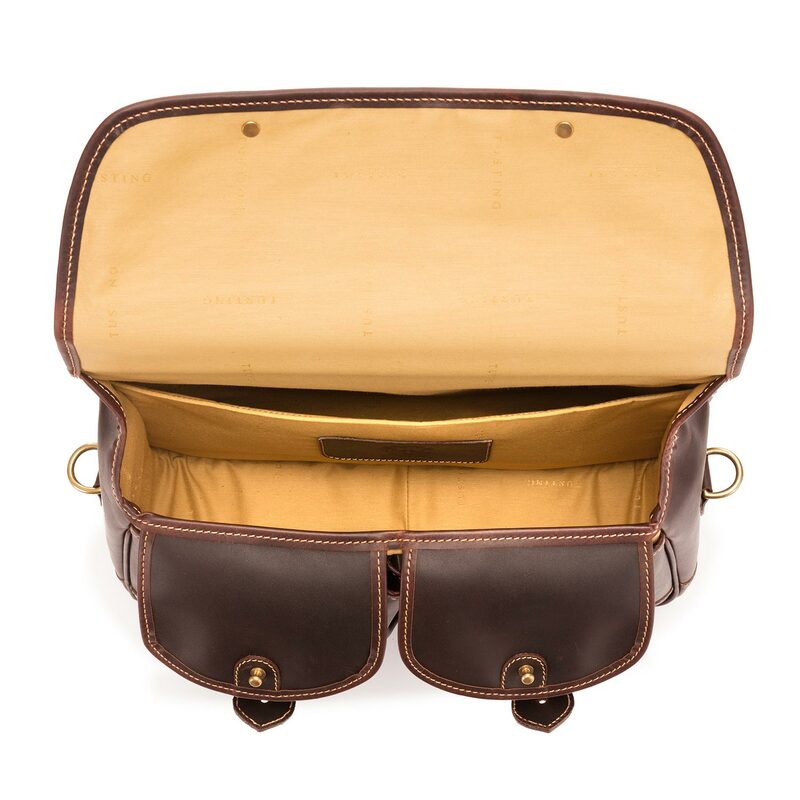 Briefcase, holdall, handbag, flight bag…the Clipper’s whatever you want it to be. 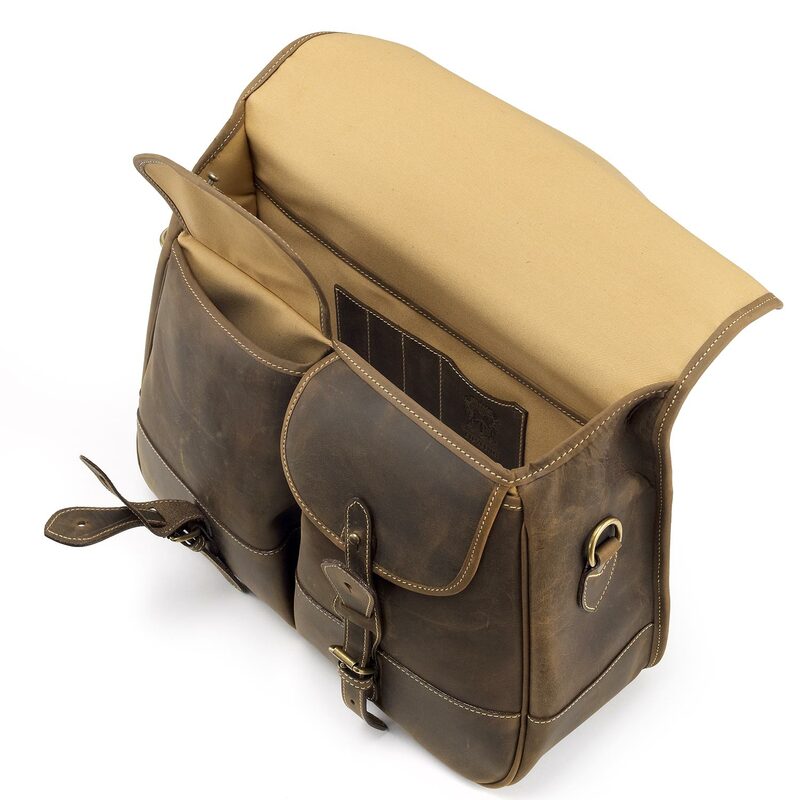 We've now added a smaller size to suit those carrying smaller loads (it's perfect for a 13" laptop) and upgraded the interior to make it even more useful. Our wonderful all-leather Clipper. 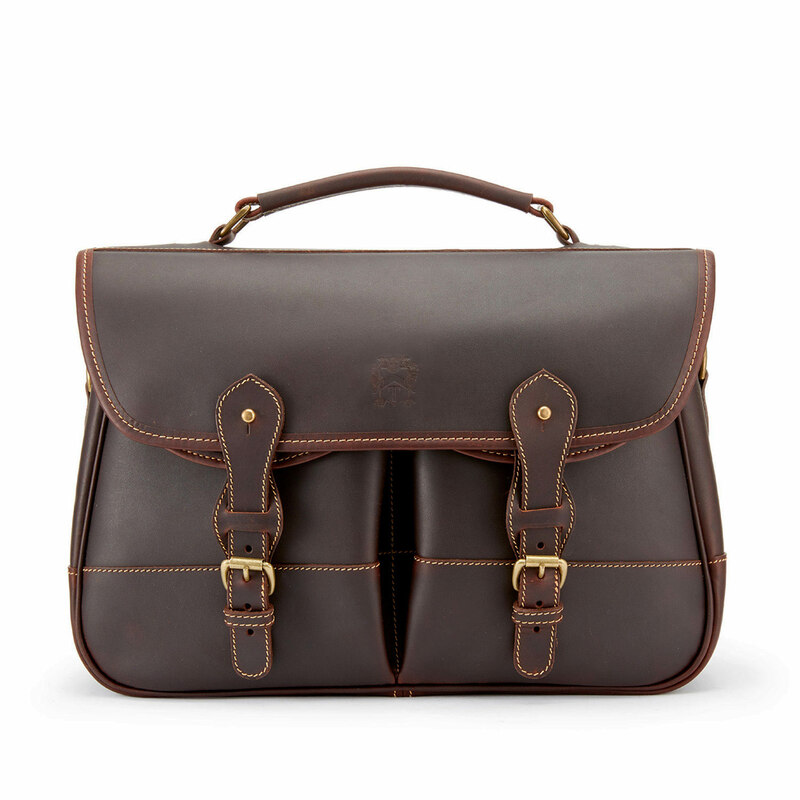 Hand-crafted in our treacle-dark Sundance Floodlight leather, this satchel-style bag is perennially popular with men and women alike. 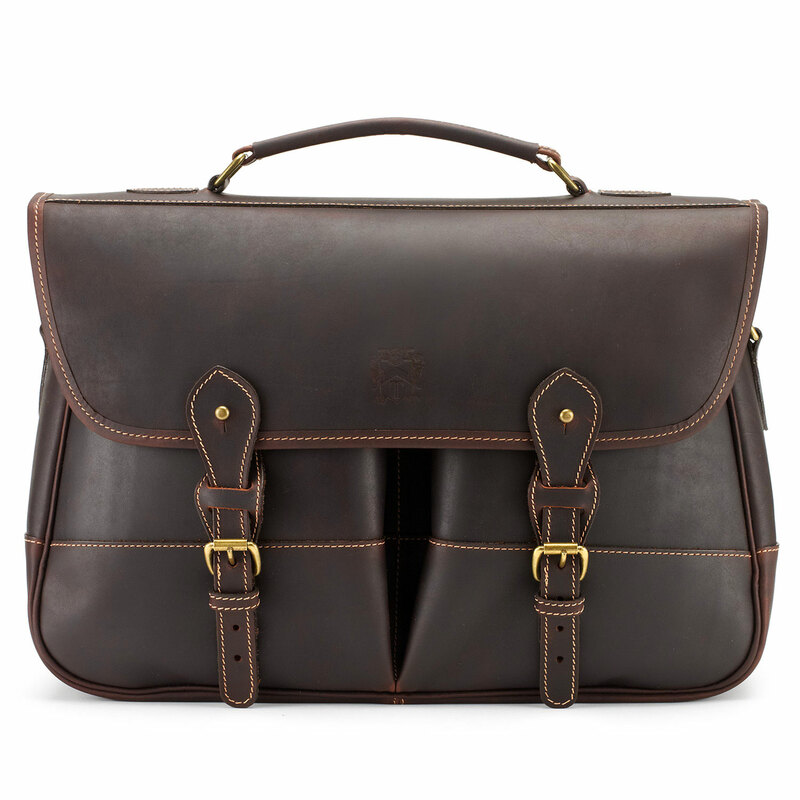 Strong enough to withstand any adventure, smart enough to bring your papers to the boardroom – this bag is a seriously sound investment. 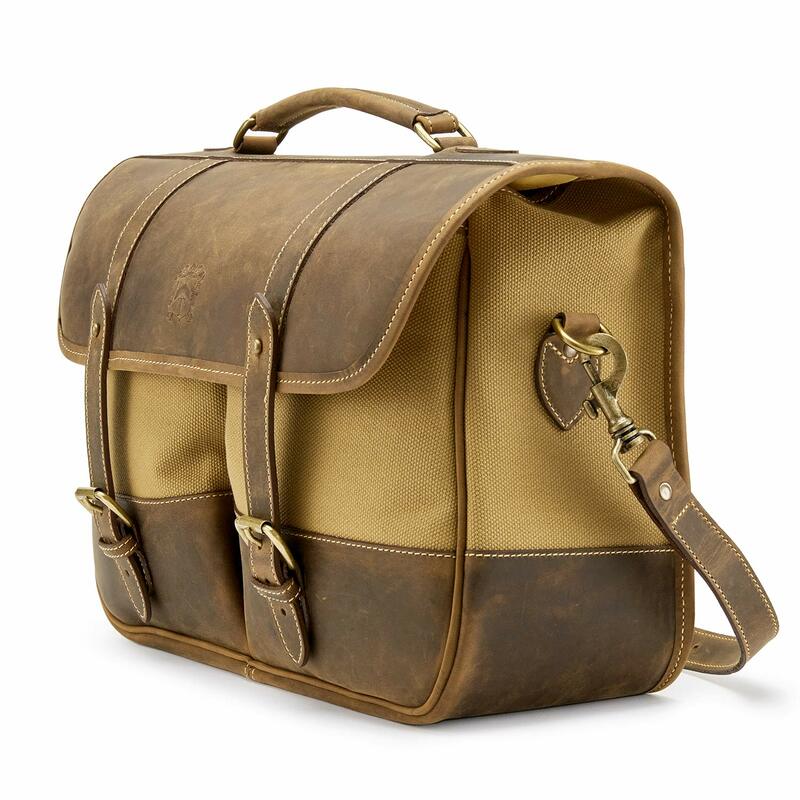 A satchel with a real character, the Clipper in our full-grain Aztec Crazyhorse leather is the kind of bag that can hold its own (plus a whole lot of stuff!) in any situation. 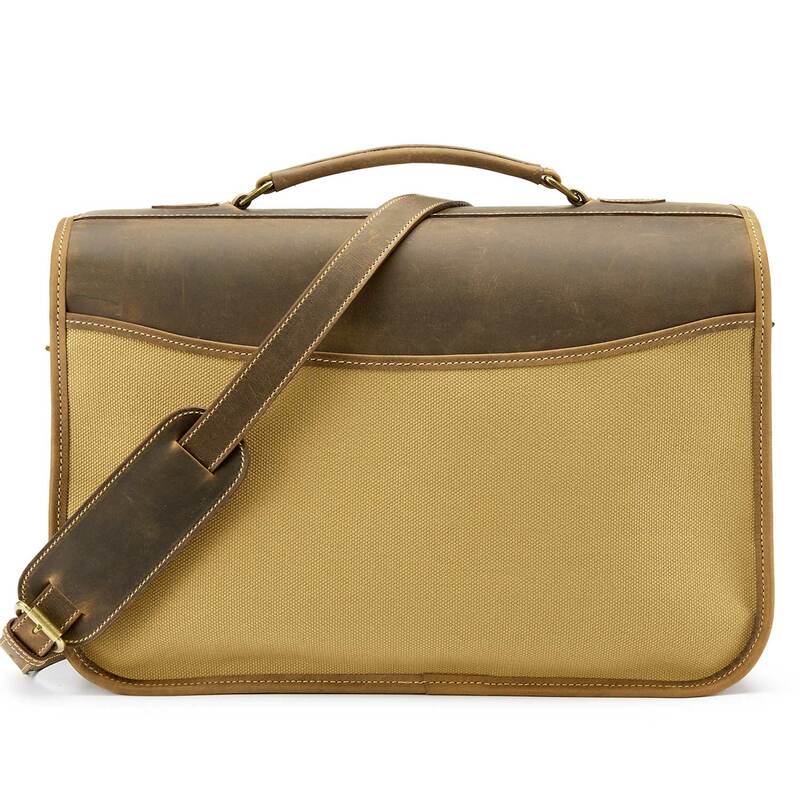 So whether you fancy it as a work briefcase or a travelling companion, we’re sure you’ll be satisfied. 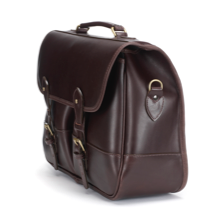 The Clipper satchel in dark brown Miret bridle leather makes us think of a wonderfully fragrant cup of coffee in a cosy library. 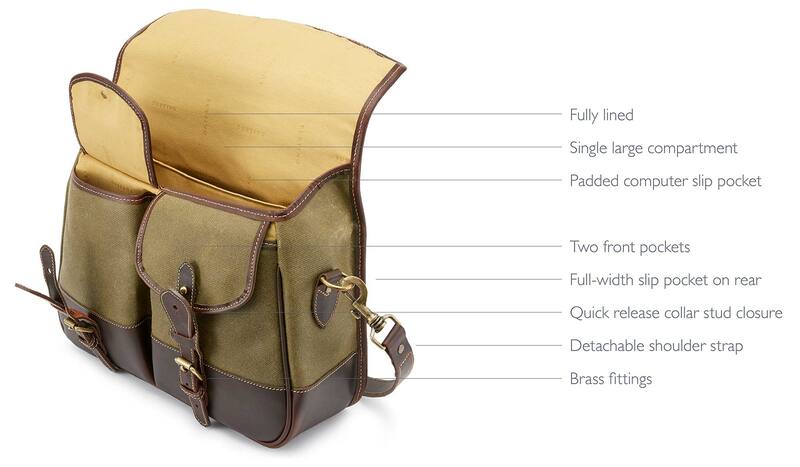 But perhaps we’re doing this spacious, durable and versatile bag a disservice: it’s well suited to anything life can throw at it, not just a quiet afternoon in! This is a bag that means business. 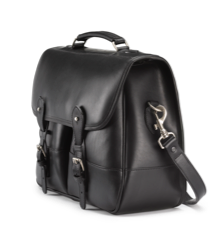 It’s fair to say that the Clipper satchel in our lustrous black miret bridle leather is a timeless classic. 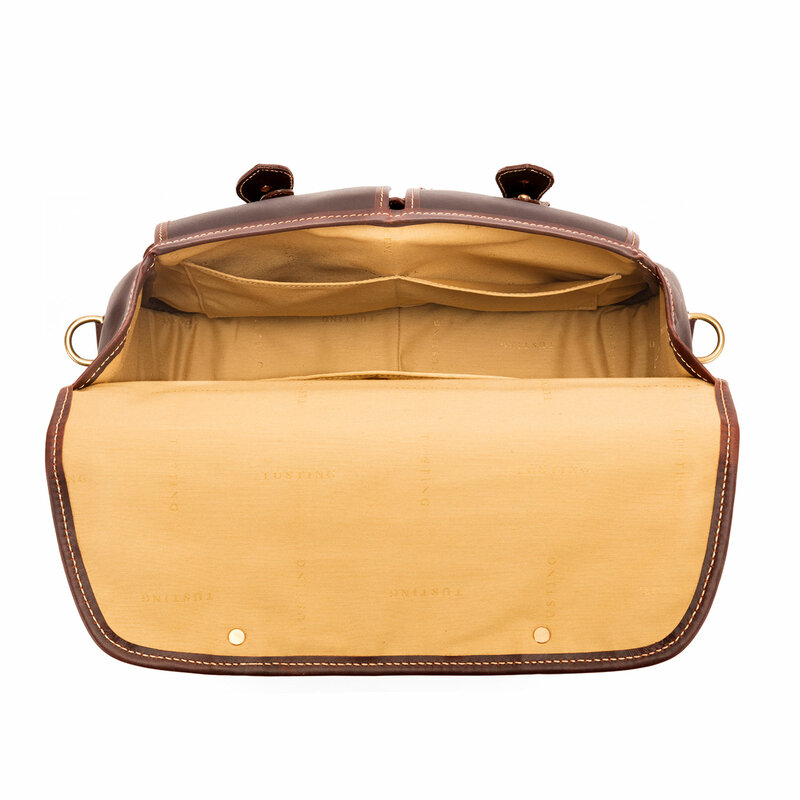 Butter soft to the touch, this bag is deceptively strong. No matter where you’re headed, the Clipper’s got you covered. 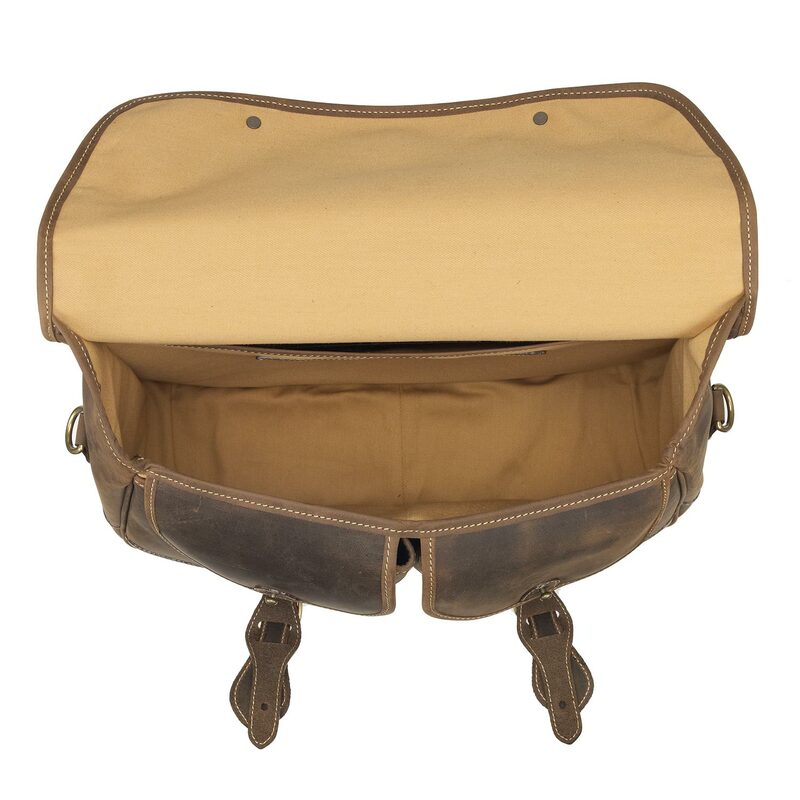 Our wonderful Clipper in weather-proof dry-waxed 24oz Sail Canvas, trimmed with our signature Sundance dark tan Floodlight leather. This resilient and characterful fabric transforms the bumps and knocks of everyday life into an individual, story-telling pattern and making your bag uniquely yours. 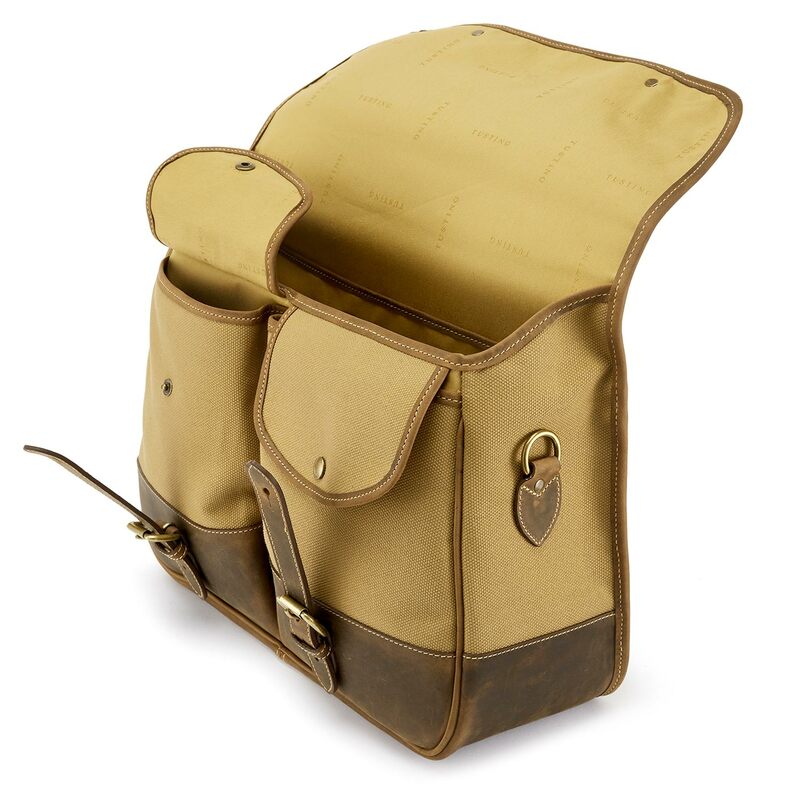 The everlastingly popular Clipper looks stunning in special edition safari. Simplified straps and a leather flap give this canvas Clipper a unique look. 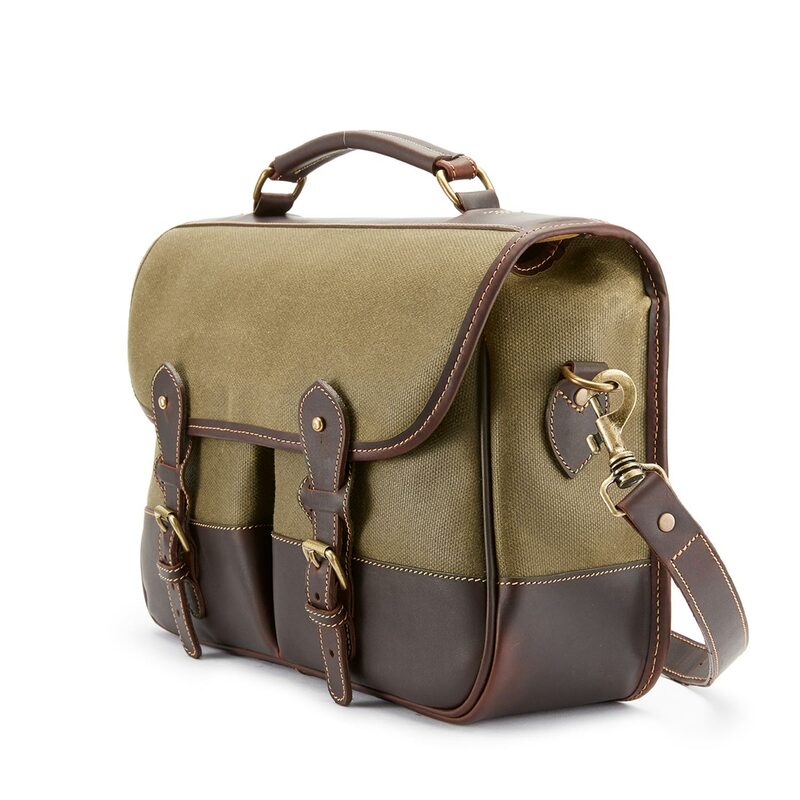 At home anywhere from Mayfair to the Masai Mara, this bag will keep up wherever your adventures take you. 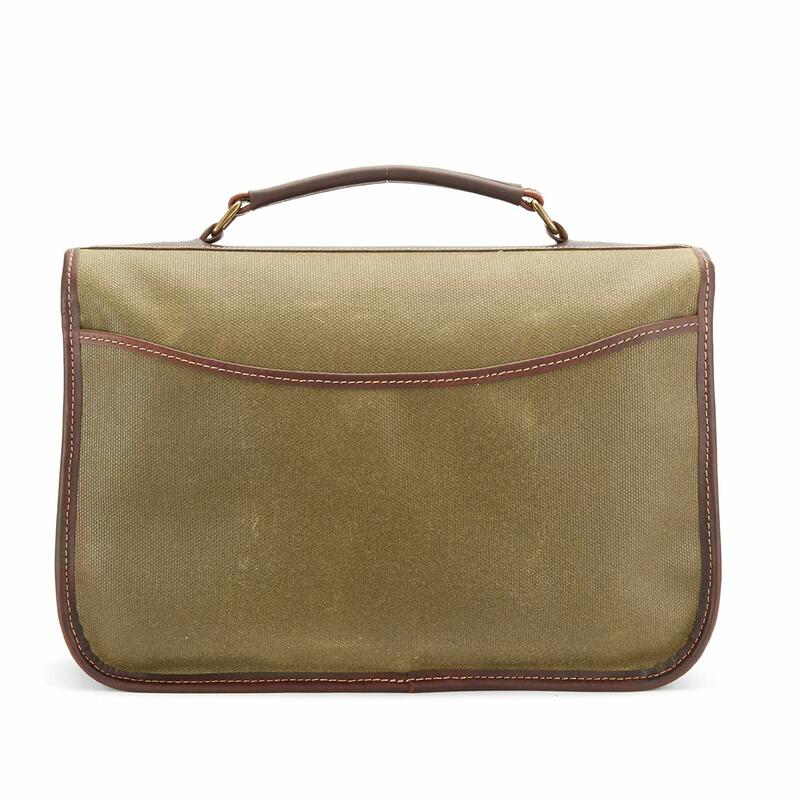 Made from tough sail canvas and handsome Aztec leather, the Clipper Satchel is perfect for business papers, camera gear or overnight clothes. This one is only available in the large size. The Clipper is based on a style from our very first collection. 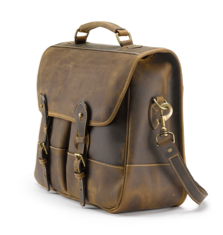 A chance conversation with a customer in the USA led to the addition of a top handle and a change to full leather construction on the bag, turning this from a country sports bag into a charming briefcase. This small and unexpected change gave us the bag that has become synonymous with TUSTING, and a style much copied by other brands since. We named it after the Clipper flying boats: the first aircraft to make passenger travel across the Atlantic possible, and in which Jack Tusting – from our family’s third generation – travelled on his selling missions to America.